Indo chinese cuisine. It is quite popular on the Indo Chinese restaurant menus. Unlike the regular fried rice, schezwan fried rice is hot & spicy with bursting flavors of ginger, garlic, soya sauce & red chilli paste. 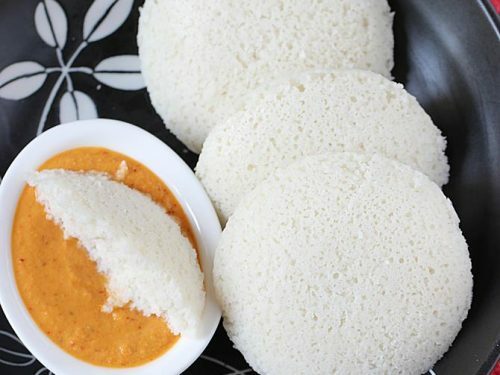 Schezwan rice is made by frying rice along with schezwan sauce which is a unique blend of sauces cooked together. 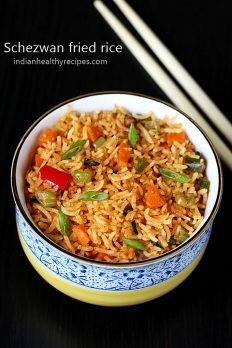 In this post I have also shown how to make the sauce from scratch & use the same for your schezwan fried rice. I do not have the habit of buying bottled sauces from the stores as most times they contain additives or preservatives. The homemade sauce is much flavorful & superior in taste that the ready made one. So do try the simple sauce I have shown here. The unique aroma comes from the sichuan peppers. 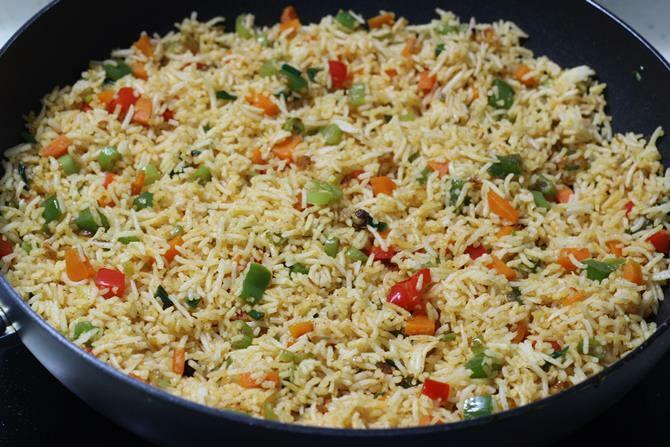 The schezwan fried rice served in most restaurants in India do not use sichuan peppers. So if you do not have then just skip them. Your dish will still turn out amazing. 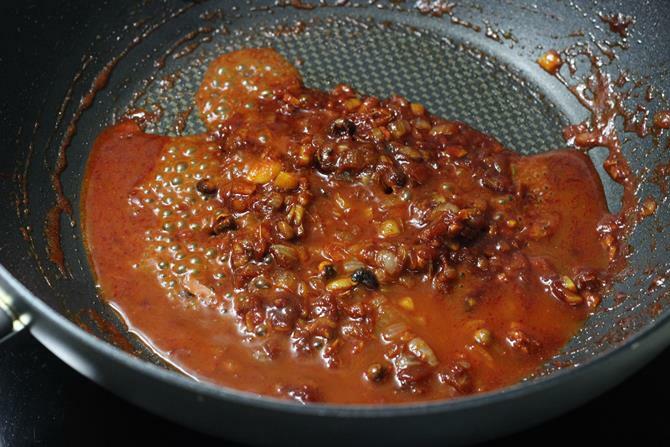 To make schezwan sauce, red chilles are soaked in warm water and then blended to make red chilli paste. But if you do not have red chilies or do not want to blend them, then just use red chilli powder the same way i have used in this post. But do note that the taste of the red chilies is much superior to the red chilli powder in the sauce. 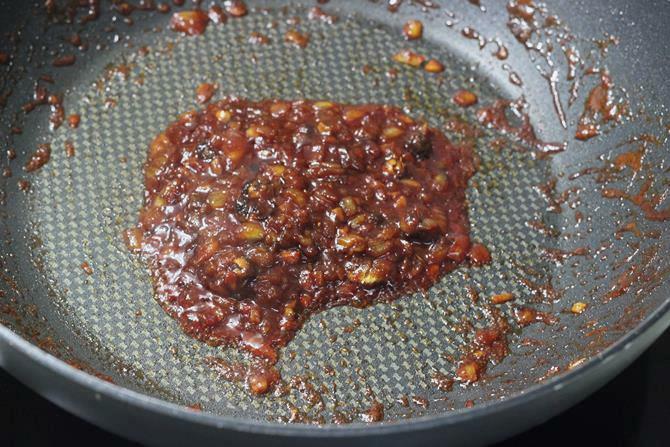 If you want to make your own sauce & store it then you can check this Schezwan sauce recipe. 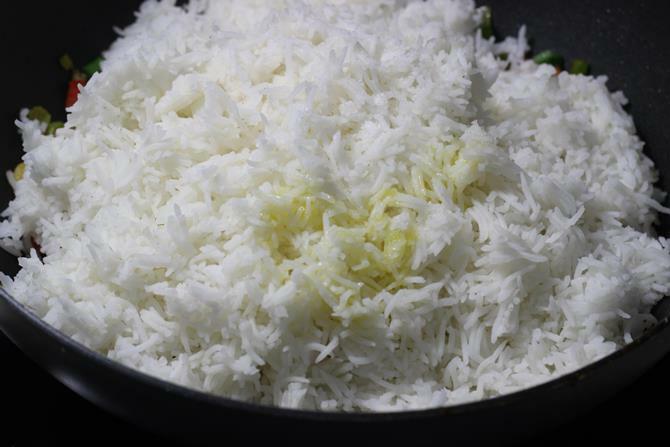 Always use only completely cooled grainy rice. Either you can cook freshly and cool it while you make the sauce. Or just use precooked rice. Avoid using mushy rice or sticky rice. 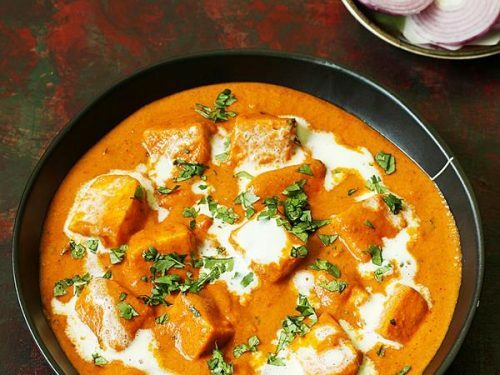 If you do not want to make your own schezwan sauce, you could just grab a bottle of schezwan sauce from the nearest Indian or Chinese store or buy online. To make the best schezwan rice, use a wok if you have. Even a cast iron skillet works great. To get a smoky aroma always fry the veggies at the highest flame. You can also skip the veggies in the recipe. I have seen many restaurants serving the schezwan fried rice plain without any veggies added to it. Since this is a vegetarian recipe I have used only mixed veggies but you can also stir in some beaten eggs or your choice of meat like chicken or shrimp. If using chicken just boil it first until tender & then fry it before adding the veggies. Same with shrimp. If using egg then fry the veggies first & then the eggs. You can make the sauce ahead & refrigerate it. When needed you can just stir the sauce in some hot oil and fry the rice together. 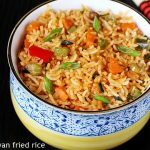 Easy schezwan fried rice made with homemade schezwan sauce, veggies & rice. Wash rice and soak for 20 to 30 mins. Bring 5 cups water to a boil. When the water begins to boil rapidly, then add rice and cook on a high flame till al dente. Al dente rice is firm but fully cooked. Make sure rice is not over cooked. When the rice is cooked al dente, drain it to a colander. 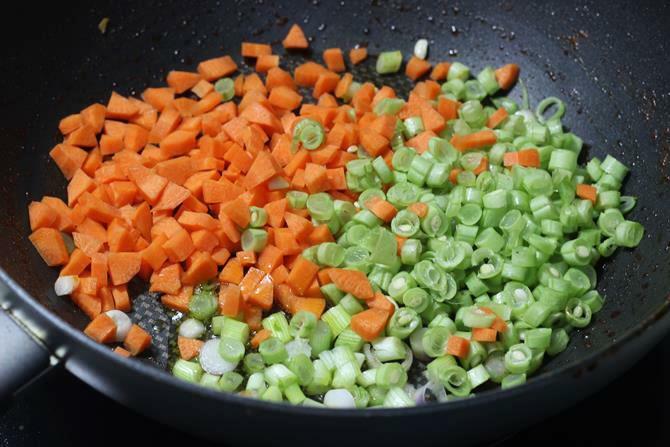 While the cooked rice cools completely, chop the vegetables. Soak red chilies in little hot water. When they turn soft, blend with 1 to 2 tbsp water to a smooth paste. 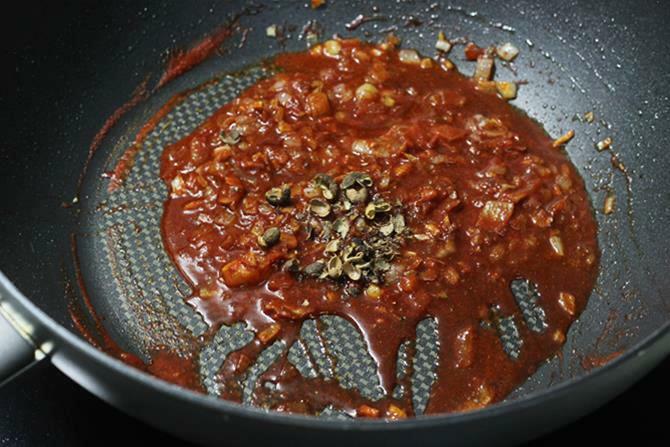 Or alternately you can stir in red chilli powder with some water. Pour oil to a hot pan and fry ginger & garlic till they smell good. Next add onions and fry until golden. Stir in salt, sugar, red chili paste and schezwan pepper corns as well. Cook until the sauce thickens. Pour little water and cook further to bring out the flavors. When the sauce thickens, pour vinegar and soya sauce. Remove to a plate and set aside until needed. 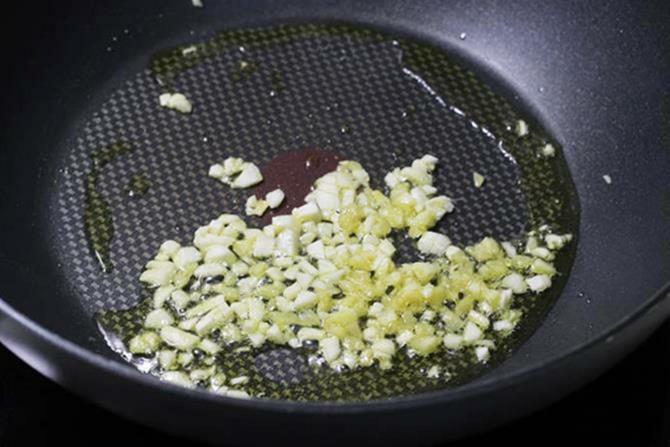 To the same pan, add little more oil. 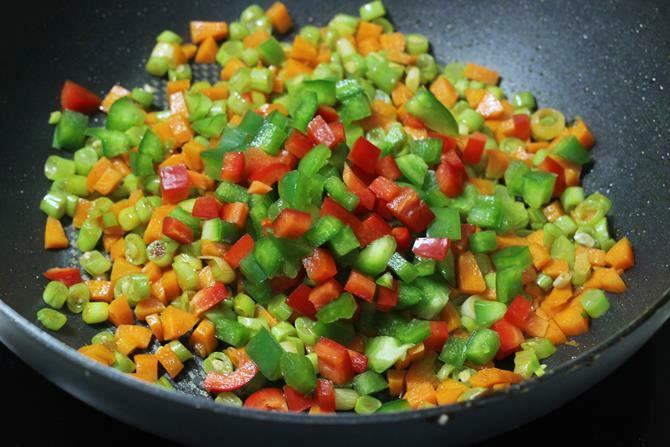 On a high flame, fry spring onion whites, carrots, beans & capsicum until half cooked yet crunchy. Next add sauce, rice and spring onions greens too. Adjust the salt and spice as needed. Mix and Stir fry schezwan rice for 2 minutes. 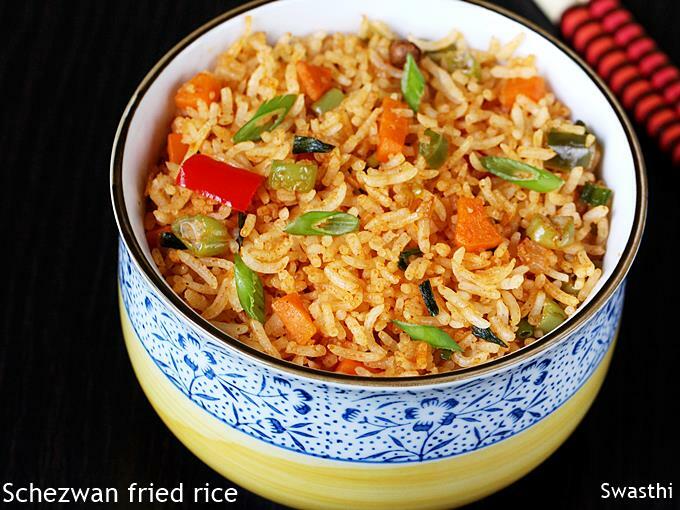 Serve schezwan fried rice hot or warm with any Indo chinese side. 1. Wash, soak and cook rice till al dente. It must be grainy and not mushy. Next set aside to cool it. 2. Soak about 8 to 10 deseeded red chilies in little warm water for 15 minutes and then make a fine paste in a blender jar along with the water. I like to use red chili powder just to skip the lengthy process of soaking and blending. To make that, add good quality red chili powder to a small bowl. Then pour very little water. Stir and make a fine paste. Skip until step 10 if you already have the sauce and want to use it. 3. Fry ginger and garlic in hot oil until it turns aromatic. 4. Next add finely chopped onions. 5. 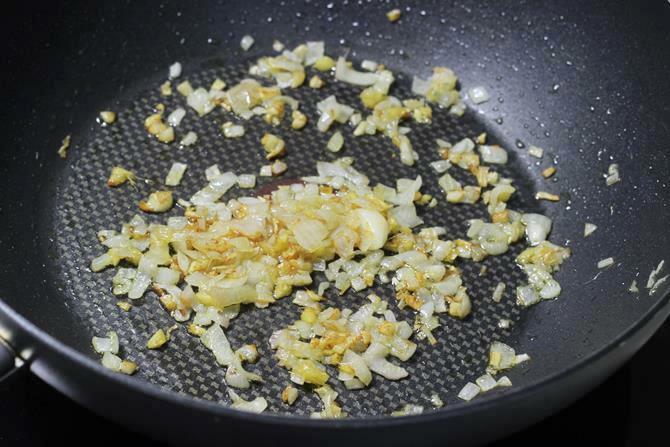 Fry until the onions turn golden. If using celery add in and saute for 2 to 3 mins. 6. 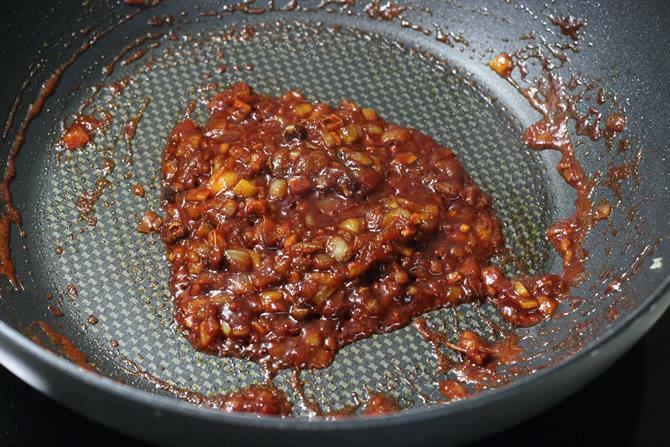 Next stir in soya sauce, red chilli paste, sugar and salt as well. 7. Add crushed sichuan pepper. If you do not have replace with black pepper. 8. Saute furthermore till it thickens. 9. Pour water and stir again. 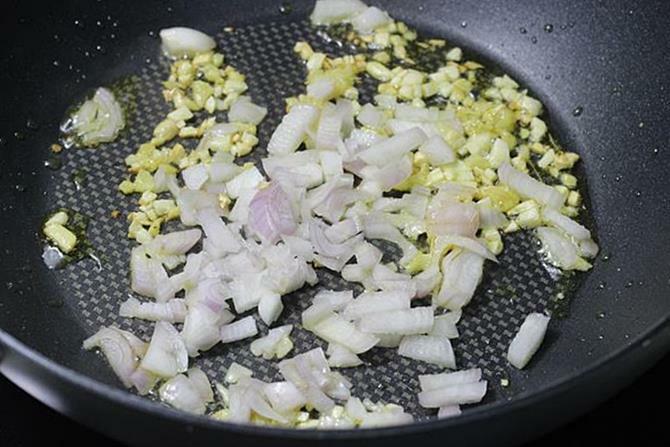 Cooking further brings out the flavor of onions and pepper. 10. Cook until it thickens. Set the sauce aside until needed. 11. 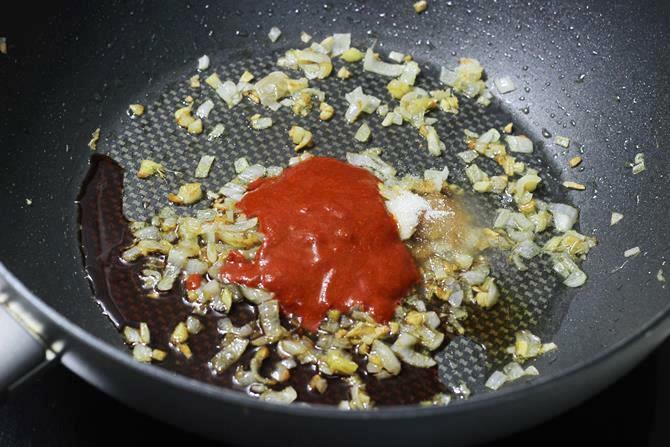 To the same pan, add some more oil. 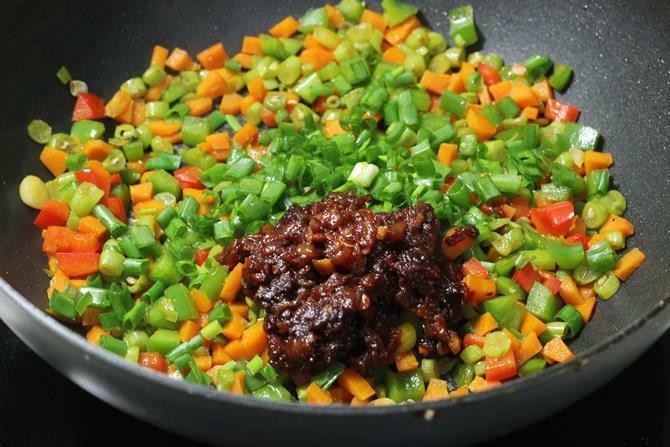 Next on a high flame stir fry chopped veggies except green spring onions and capsicum too. Fry until they are half cooked yet crunchy. 12. Add capsicum. Stir and fry until they are half done but not soft. 13. Time to include the spring onion greens and the sauce as well that we set aside. 14. Add rice, a bit of oil and salt. We have already added salt before, so use only as needed. 15. Stir and fry further for 2 to 3 minutes. If making for later use or for packing in lunch box, then just mix and do not fry longer. 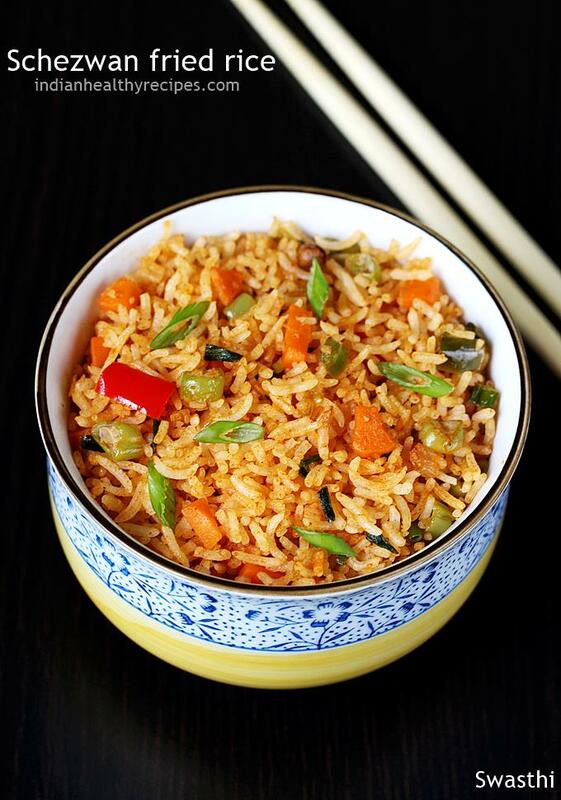 Serve hot and spicy veg schezwan fried rice with any Indo chinese side dish. 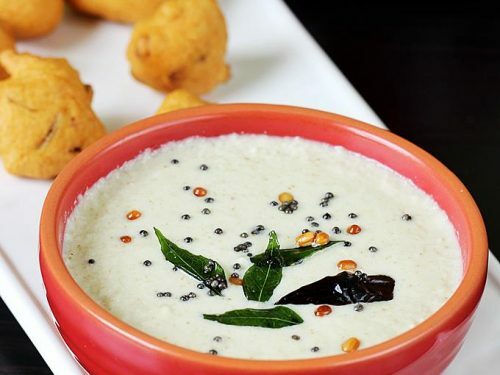 Hi Swasthi, I’ve been trying your recipes from the time I got married. I love them all. I see you try to keep it as healthy as possible which I’m comfortable with since I have a lot of health restrictions. Can I make this recipe without using soy sauce? Or do you know what I can use to substitute soy sauce? Thank you so much for following. Yes you can skip soya sauce. There is no substitute to it. If you have not been using it in your food so far, then you will find any dish good even without it. 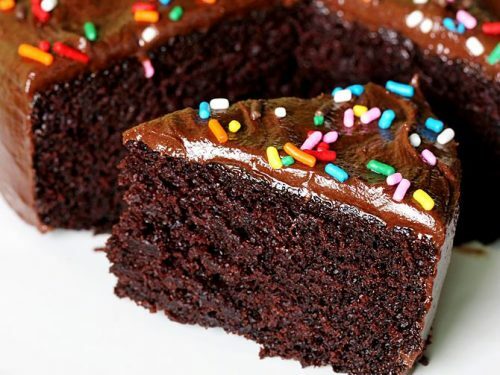 Most times I skip it as i am afraid of serving it to my kids. We find no difference in taste. I LOVVVEEE YOUR RECIPES .DON’T YOU HAVE PASTA RECIPES? I M ACTUALLY A TEENAGER WHO LOVES COOKING. IF I WANT TO LEARN HOW TO COOK I ALWAYA COME IN YOUR SITE. 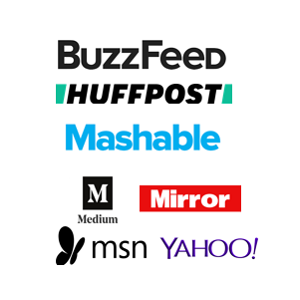 your doing good job ….all .yummy yummy recipes. 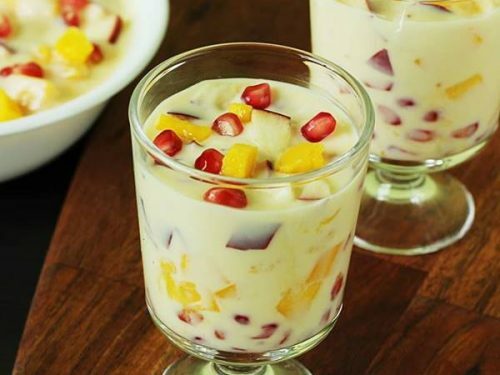 Hi.swathi..its really nice today i try this recipe..my fatherinlaw said its very nice ..thanks a looooooottttttt …love it.. Very nice the way you describe, Simple and doable. Thank u ..i love ur recipes.. 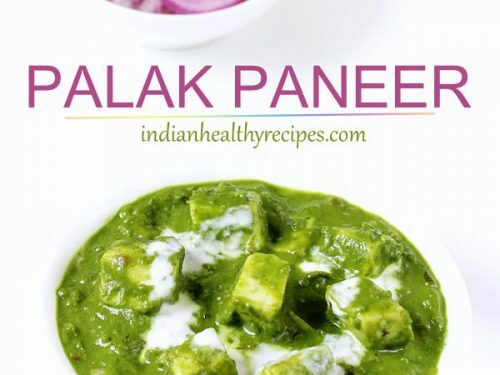 I live in.canada …n follow ur recipes..
Glad to know you. Thanks for following.